With my first baby on the way, I spent a few weekends over the past month making a ton of food to stock up my freezer with easy meals for the first few weeks after the baby is born. I also stocked my freezer with bread, rolls, wraps, pita bread, and bags of frozen veggies and fruits and my pantry with essentials like whole-wheat pasta, quinoa, brown rice, tuna, beans, canned tomatoes, and non-refrigerated almond milk so I can keep grocery store trips to a minimum. 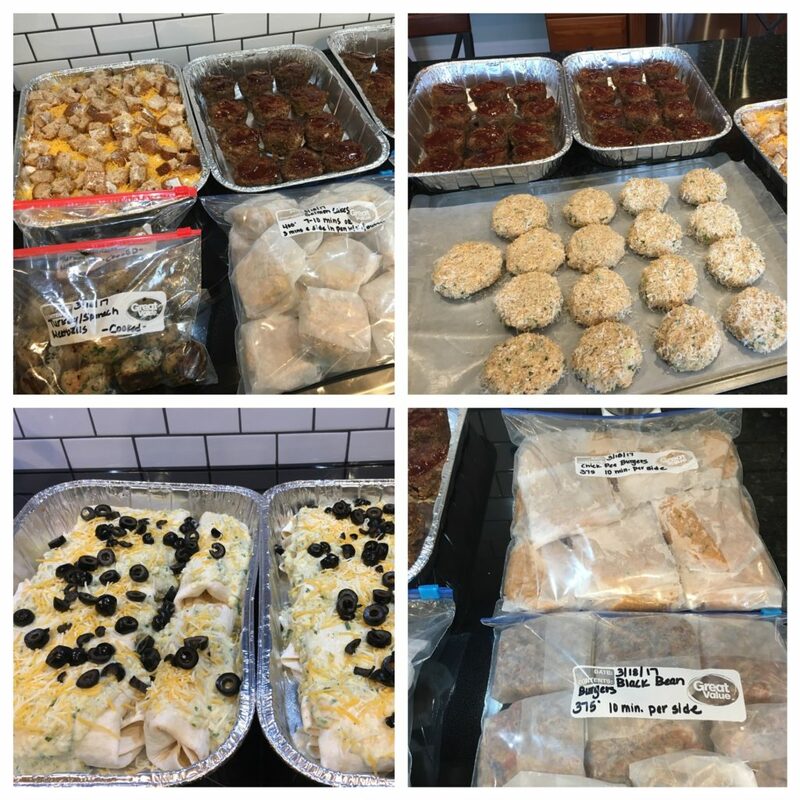 Tip: Before you get started, make sure to have lots of resealable bags (gallon and quart), wax paper, and foil baking dishes on hand, and label everything, including with the instructions for cooking for heating. Marinated, grilled chicken breasts (to slice for salads, wraps, sandwiches): Marinate six breasts in 1/3 cup lemon juice, 1/4 cup olive oil, 2 teaspoons minced garlic, 2 tablespoons fresh chopped parsley, 1 teaspoon kosher salt, 1/4 teaspoon black pepper. Grill until cooked through. Cool in refrigerator, and then place in a resealable bag and freeze. Cooked ground beef (for taco meat, hamburger barbecue, meat sauce, etc. ): Brown ground beef in a large skillet. Cool completely. Divide into 1 lb. bags. © 2019 Seasoned to Impress. All Rights Reserved.